Holland America’s Zuiderdam departs the Port of Vancouver on Saturday, and after a full day of cruising on Sunday, prepares to enter Tracy Arm on Monday morning before heading to Juneau in the afternoon. This is probably the best chance to see killer whales, and the tree-covered cliffs dropping to the water supply incredible scenery. 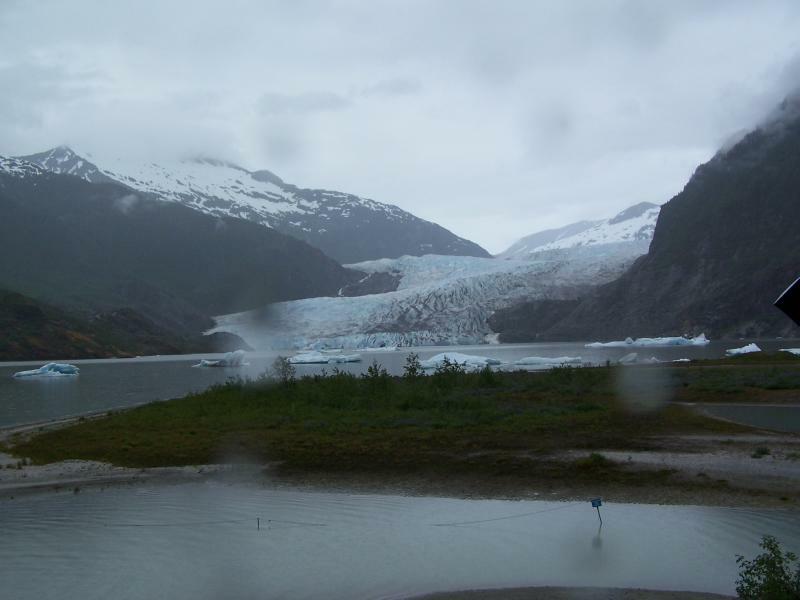 The first time I cruised on Holland America’s Zuiderdam, the ship went up Tracy Arm as far as it could until there were too many icebergs floating around, and then turned around and headed for Juneau. The last time I was on the Zuiderdam, the ship went to the mouth of Tracy Arm, a large catamaran pulled alongside, and off loaded passengers who’d paid for an excursion to sail through the inlet. Cost was around $225 per person. 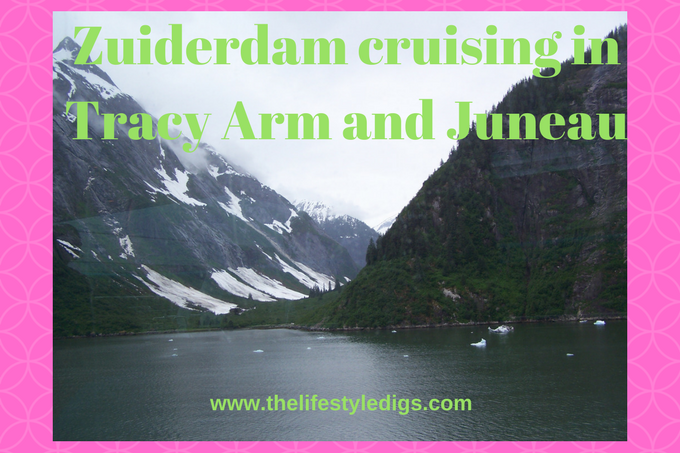 The first time I was on the Zuiderdam, the daily program announced between 7am to 10am scenic cruising of Tracy Arm was on the agenda. For early risers, from 5am to 7am cruising through Frederick Sound and Stephens Passage and there might be an opportunity to watch for whales. Having lived on the west coast all my life, and spent many hours on boats plus whale watching on Hawaii, my past experience with whales is usually a splash as the whale is going back under! Besides watching the majestic scenery of forests cascading into the ocean and the blue-tinged icebergs floating in the inlet, some other shipboard activities available on the morning program are fitness classes, digital photography workshop, culinary class, casino clinic, bridge and card playing, trivia challenge, and an explorations speaker talking about Glacier Bay, still two days ahead. 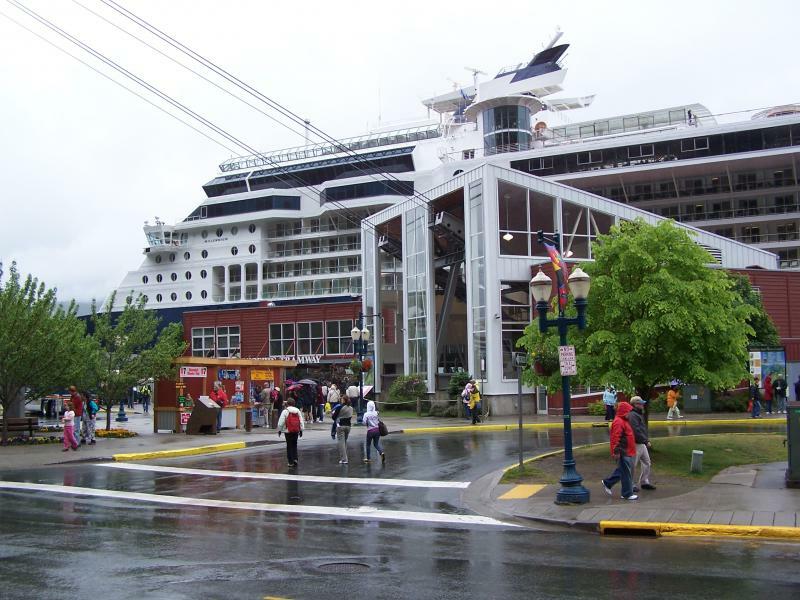 There weren’t many activities listed on the afternoon program because the Zuiderdam docks in Juneau at 2pm and most passengers are expected to disembark. Now that Tracy Arm is off the itinerary, the ship docks around 1pm. We got off at Juneau, but the Zuiderdam docks about a mile from town and the main dock where the lucky cruise ship passengers disembark. This might be a nice walk on a sunny day, but miserable in the rain, which it often does in Juneau. Choosing to stay dry as long as possible we paid $3 (or was it $4) for the shuttle bus into town, a quick drive. What was really annoying was the Princess Cruise ship right there at the main terminal. Lucky ducks! When we got off the bus there were several people manning booths selling local tours. We chose the Mendenhall Glacier. The sign was a little deceptive at $7. That’s each way. Once you’re at the Mendenhall Glacier you’ve got to get back somehow unless you call a taxi. A $14 round trip times 2 of us = $28. The price has gone up. The last time I was there it was $10 each way, and you can be sure the price will increase each year. The Mendenhall Glacier is incredible and definitely a must see for anyone on a cruise ship. And relatively one of the more inexpensive things to do in Juneau. The signs that showed where the glacier stood 50, 60 years ago, now a walking path, make us understand too well the speed at which this amazing glacier is melting due to global warming. We didn’t spend much time at the glacier, the rain dampened our enthusiasm. Cold and wet is not a fun day, even when you’re wearing rain coats. There is a tram ride in Juneau, costs around $30 that is at the main cruise ship dock and goes up the hill. Seeing as how it was overcast and raining, it wasn’t a good choice. Nothing could be seen at the top of the mountain, so we skipped it. The second time I was on Holland America’s Zuiderdam, we once again were docked a mile out and paid bus fare to take us into town. At the town’s dock, there was a Princess Cruise ship, another Holland America ship, and a Celebrity cruise ship, anchored in the bay, and those passengers were tendered into the dock. 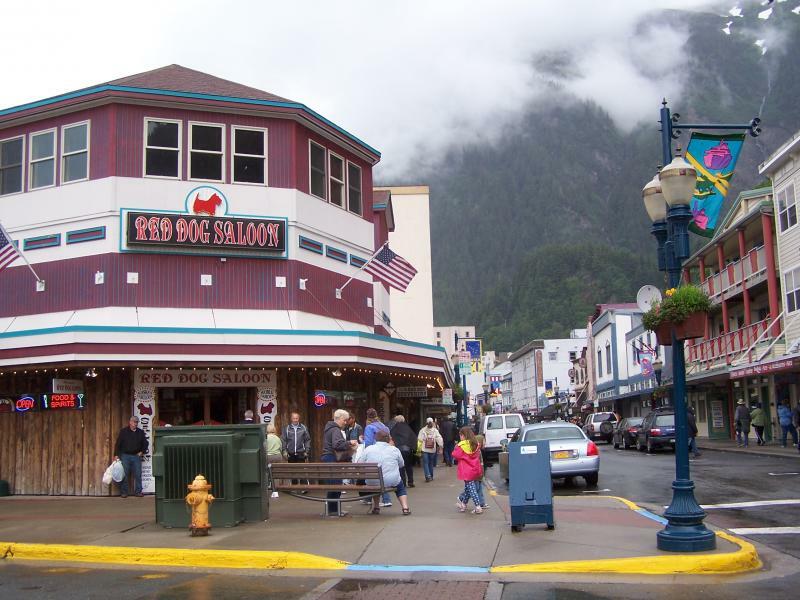 Mostly all there is to do in Juneau is wander up and down the main street stepping in and out of the gift stores, have a drink at the infamous Red Dog Saloon, or try some king crab legs at Tracy’s Crab Shack. Don’t worry if you didn’t buy something and regret it once you get back on the ship. 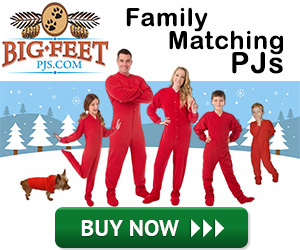 You will see the exact same items being sold at the gift stores in Skagway and Ketchikan for the exact same prices. Just a footnote to be careful about what tours you book and pay for in advance. The helicopter tours and some float plane flights were cancelled due to the weather. The sled dog tour also gets cancelled if the weather is bad, as do many other tours. Bad weather that cancels tours is more than just rain. There’s fog and low cloud cover. And more often than not, the weather is bad in Juneau. Save money by going back to the cruise ship for dinner instead of eating at a Juneau restaurant. The formal dinner in the Vista Dining Room is smart casual dress code on port days. We decided to do the very casual thing and eat dinner in the Lido Restaurants instead. Klondike Gold Rush Dinner was the theme that night on the Lido Deck. It was a very nice dinner, including seafood chowder in a sourdough bowl, while docked in Juneau. And one of the rare times we got a table at a window. That night in the Vista Lounge the Zuiderdam presents a magician, or as James Cielen prefers to call himself, an illusionist. He put on a very good show. Loved the tricks. 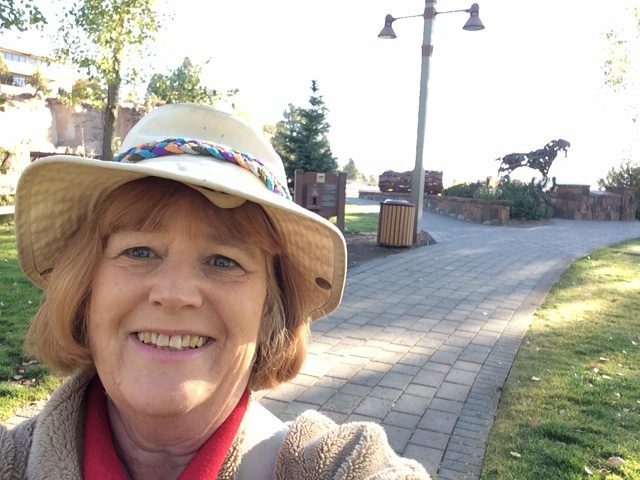 Then a quick exit to catch another speech with Ron about Alaska’s Early Explorers & Wildlife. The last time I was on the Zuiderdam to Alaska, the ever popular James Cielen was still performing, pretty much the same tricks. He has a magic kit for sale after his act is over. 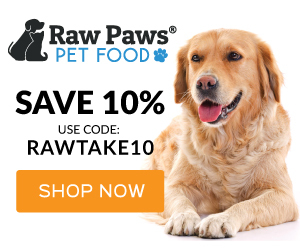 $100 or so. I’d say the most disappointing part of the show is the intro. There’s about a 5 minute intro on all the awards he’s one, best magician here, best illusionist there, but the act didn’t live up to the wildly exciting promotional introduction. Getting back to Tracy Arm, do I recommend spending the $225+ for a few hours scenic cruising Tracy Arm on the high speed catamaran? The tour is not recommended for persons in wheelchairs, so if mobility is a concern, your decision has already been made by the cruise line. Passengers transfer to the catamaran via the ship’s tender launch dock. 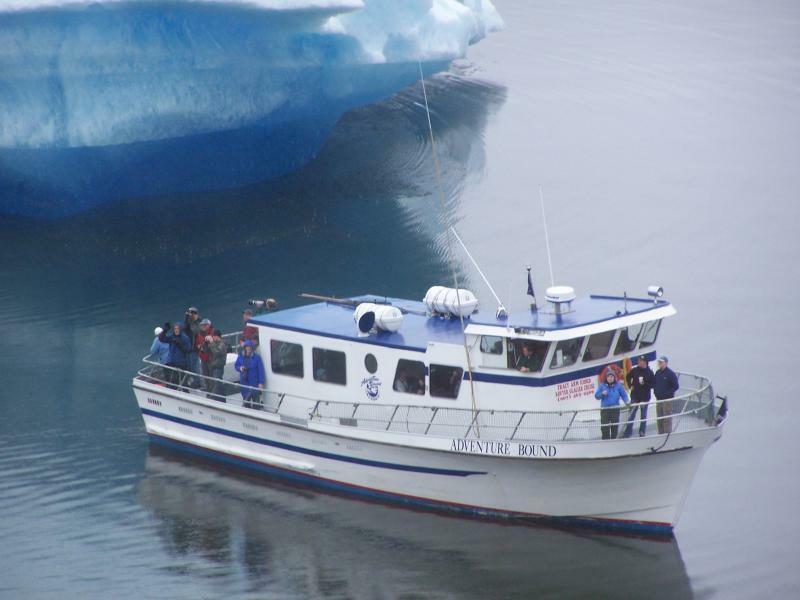 The Tracy Arm catamaran tour is narrated by a naturalist and a chance to see icebergs up close. Just as long as the boat doesn’t get too close. We’ve all seen the Titanic movie! The catamaran drops the passengers off in Juneau where they re-board the Zuiderdam. 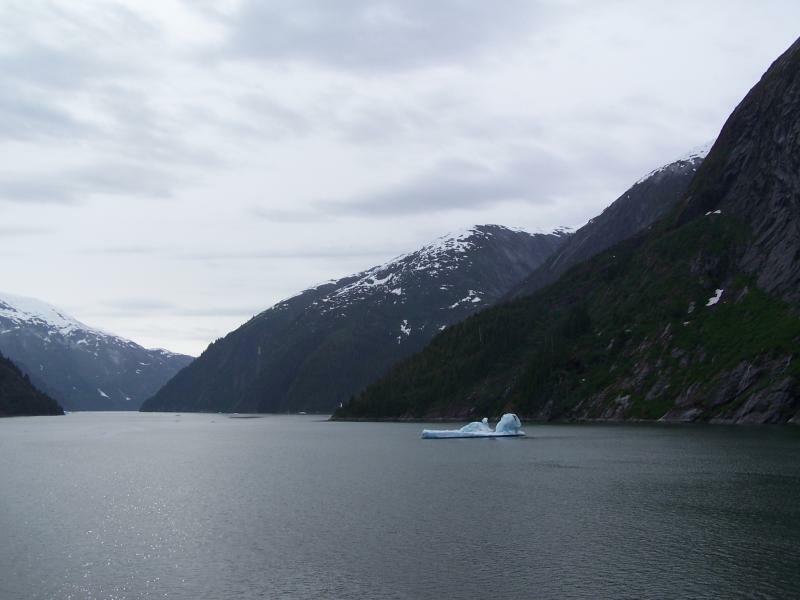 If your ship’s itinerary includes Glacier Bay, then Tracy Arm should not be a huge priority. You’ll see plenty of ice and magnificent scenery in Glacier Bay. 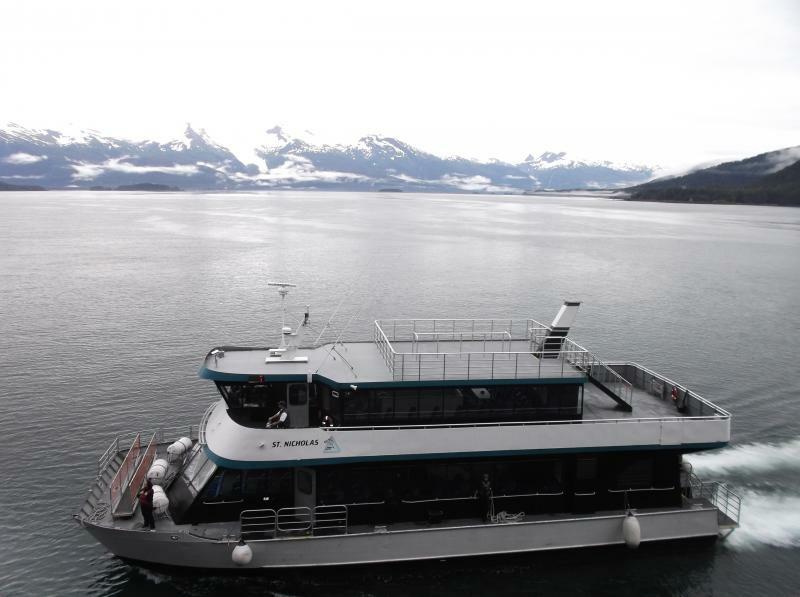 Not every cruise ship gets a permit into Glacier Bay, some sail to Hubbard Bay instead. The decision when picking a ship’s itinerary usually comes down to scenic cruising in Glacier Bay or Hubbard Bay. Tracy Arm is a decision based on port excursions that the passenger pays extra money to visit. It’s a good long day aboard the Zuiderdam because it departs Juneau around 10pm. 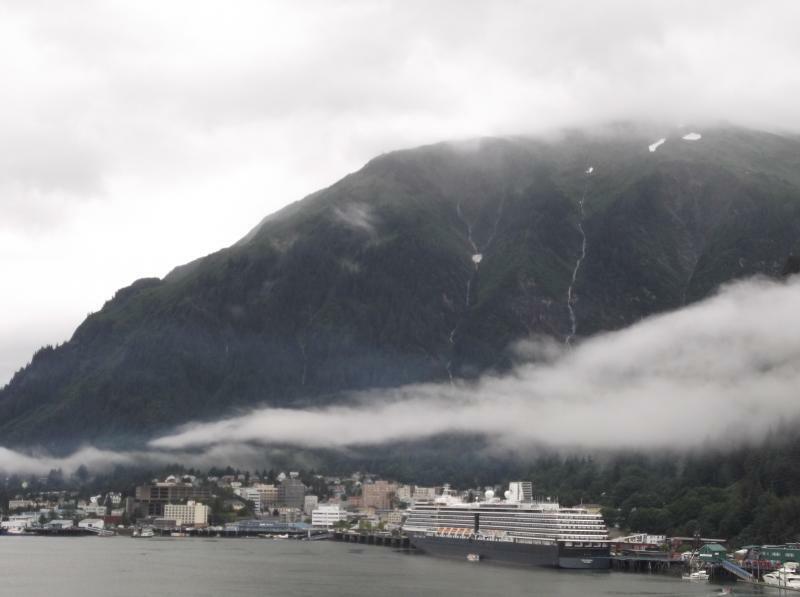 Whether you choose cruising Tracy Arm, checking out Juneau, or both this will be a day to remember.